60069 'Humphry Davy' is halfway up the climb between Shotton and Hawarden, 18th July 1997. 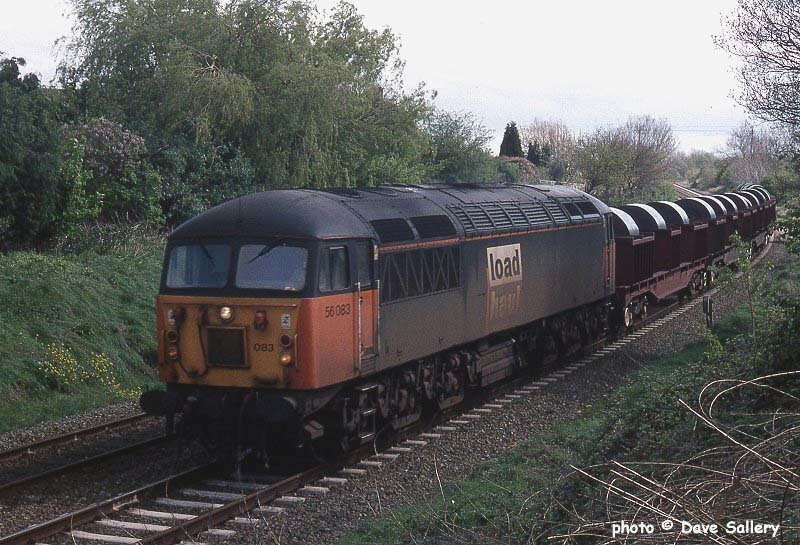 In the attractive Loadhaul livery, 56083 rumbles downhill between Hawarden and Shotton on a Margam - Dee Marsh coil train. 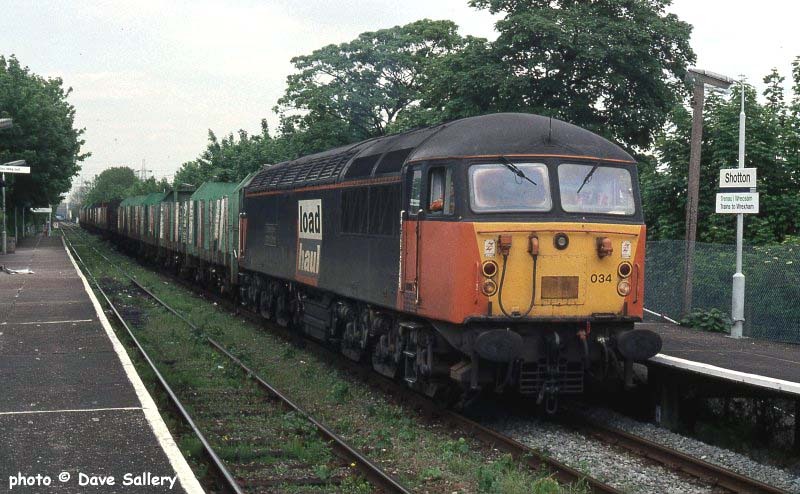 The date is April 24th 1998 and this scene is now history - all Class 56's have been withdrawn and the steel coil is now carried in fully enclosed wagons. 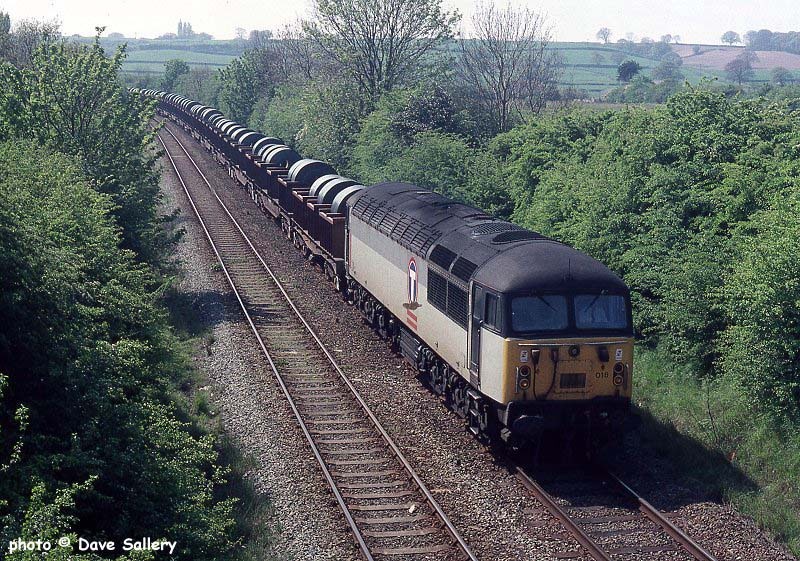 A long train of steel coil is seen descending the steep gradient into Shotton on May 1st 1997. Motive power is provided by Cardiff Canton based 56018. Re-engined class 37 No. 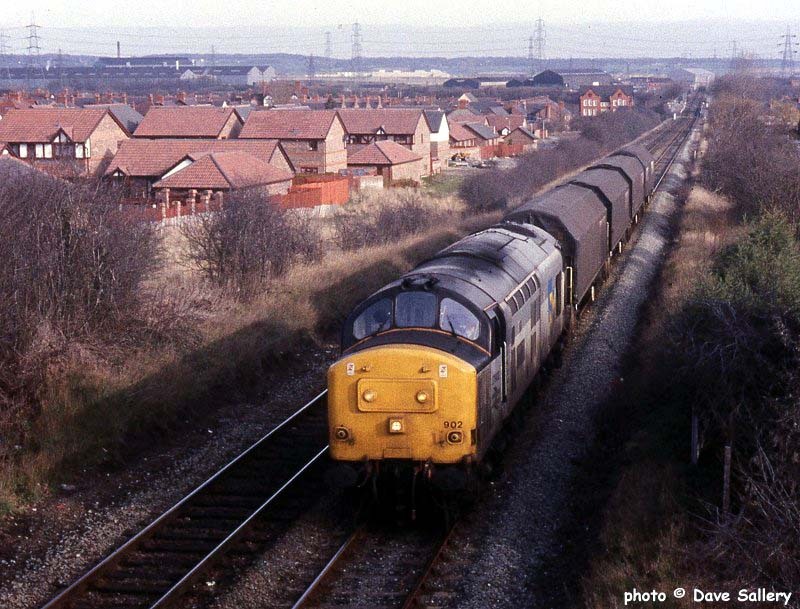 37902 is having little trouble bringing a short train of covered coil carriers up the 1 in 53 out of Shotton on the 21st of February 1992. In the left background can be seen part of the Shotton steel coating plant. The Wirral peninsula is on the horizon. Another re-engined Class 37/9 No. 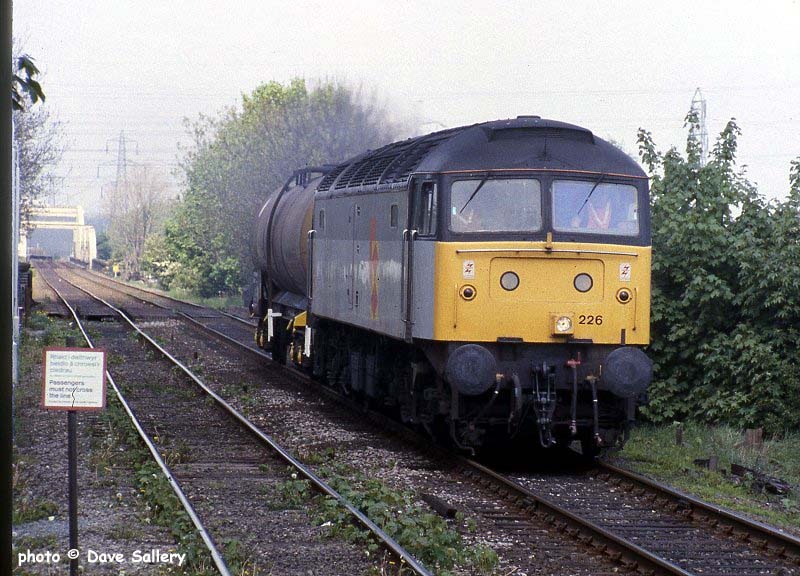 37904 brings an early morning coil train into Shotton station on the 27th March 1992. At the time these locos were daily visitors to the line and were considered equal to a Class 56 in tractive effort. The stiff gradient off the end of the platform is noticeable. 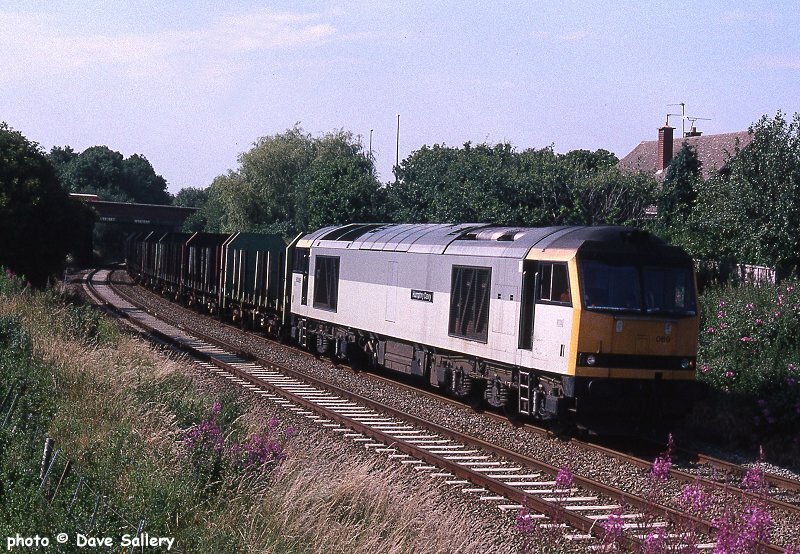 56124 passes through Shotton, 30th July 1997. 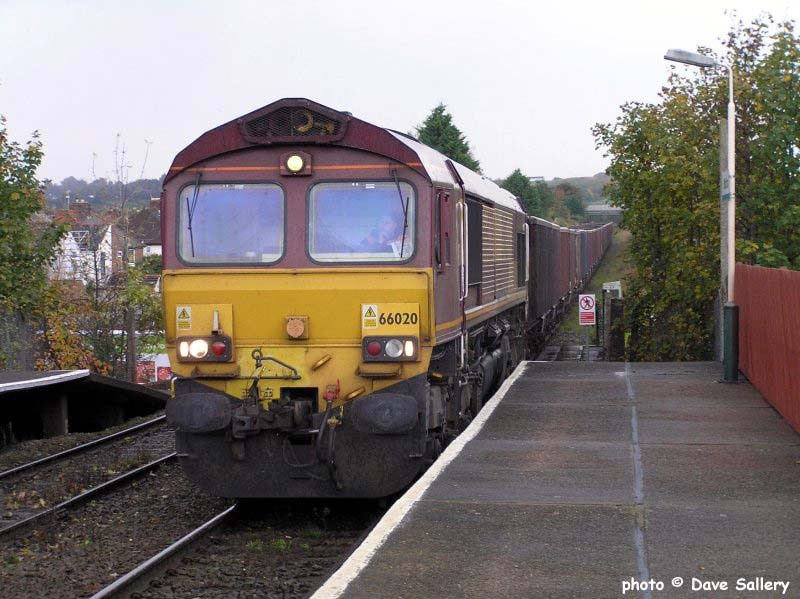 66020 is seen with the empty coal wagons from Castle Cement at Shotton on 22 October 2009. This train goes to Dee Marsh yard to reverse. 56034 'Ogmore Castle/Castell Ogwr' on timber empties passes through on May 23rd 1997. 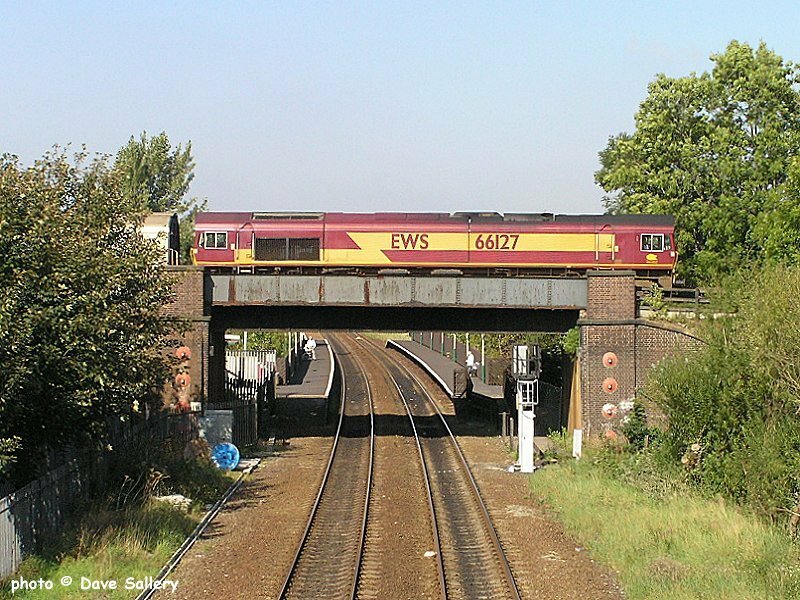 Shotton station is an interchange with the North Wales coast line. 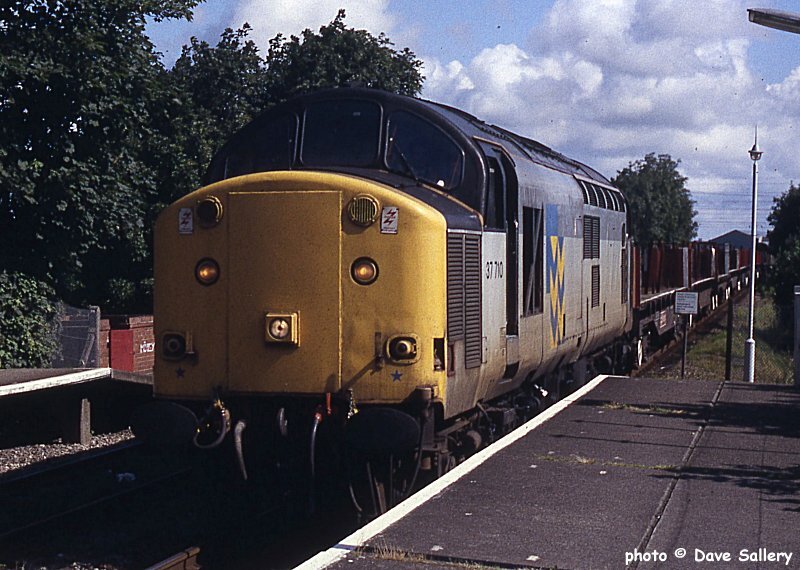 37710 on empty steel wagons at Shotton, 17th July 1993. 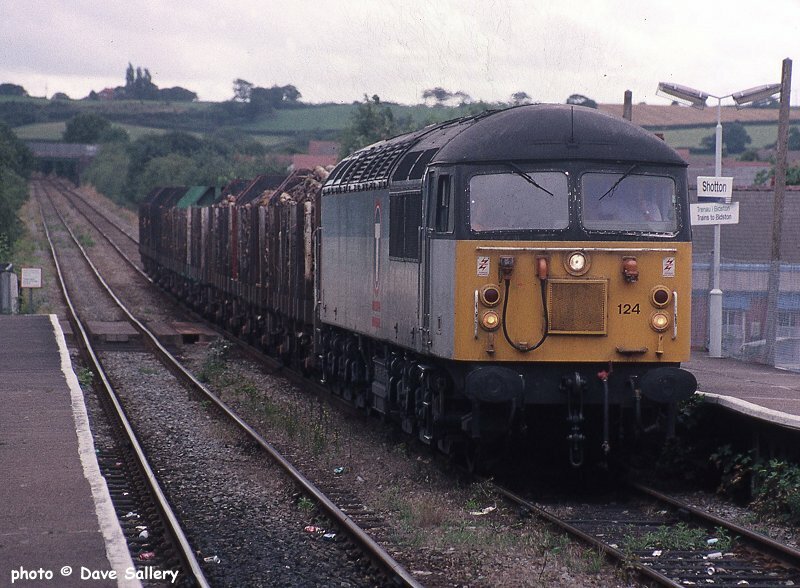 47226 brings a single wagon off the Dee bridge and through Shotton station on May 4th 1993. The wagon is French registered and was used to convey liquid sodium to the now closed Deeside Titanium plant. There was formerly a South to West connection here leading to exchange sidings with the ex LNWR line and the docks at Connahs Quay. Class 20 No. 20902 'Lorna' brings up the rear of the weedkilling train as it returns to Wrexham on June 3rd 1997, 20901 was on the other end. 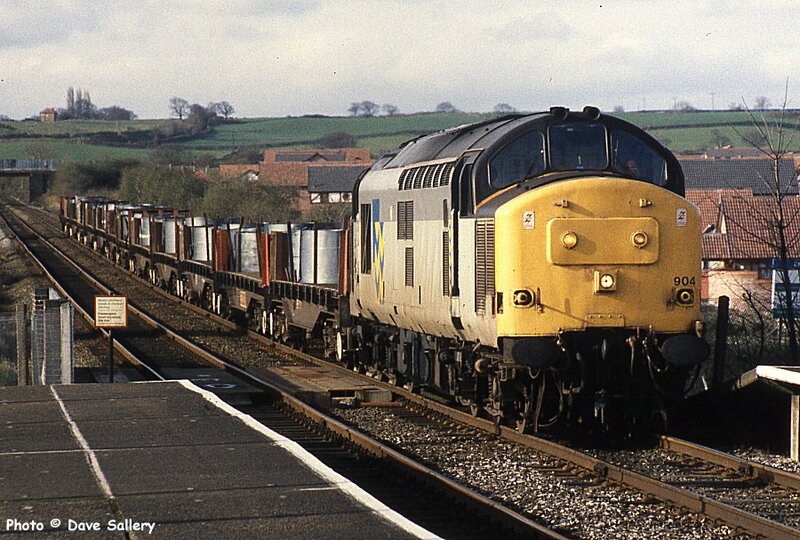 These locos are now owned by Direct Rail Services and generally haul nuclear flask trains. 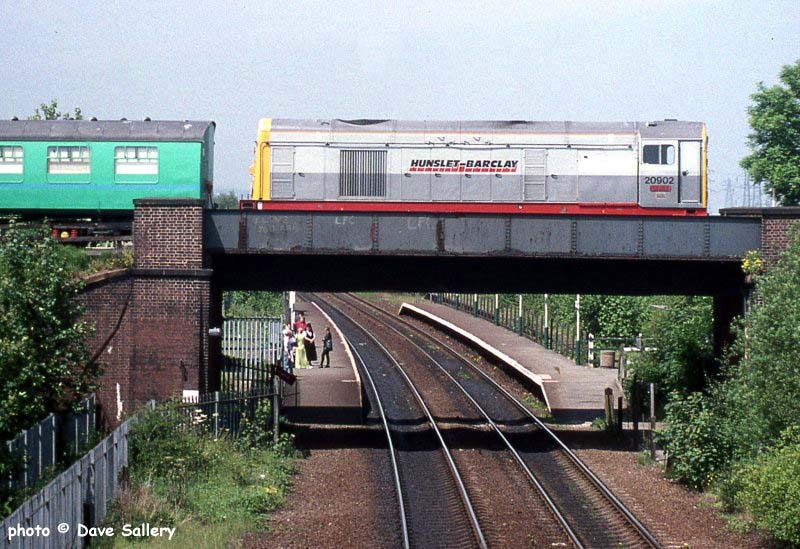 This train would also have sprayed the Merseyrail Wirral lines to New Brighton and West Kirby. 66127 is seen on the 8th of September 2004.The train is passing over the North Wales coast main line at a location that sees more trains than anywhere else in North Wales.